A motorcyclist has died following a collision with a white tipper truck in Danes Camp Way, Northampton. The 45-year-old rider, from Northampton, was involved in a collision with a truck at about 2.15pm on Wednesday. He was taken to University Hospital Coventry and died as a result of his injuries in the early hours of today (Friday). 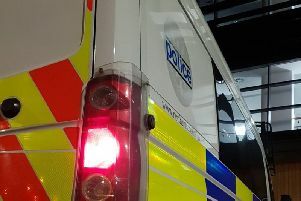 A man was arrested in connection with the accident and has been released on police bail pending further inquiries. Witnesses to the collision or anyone with information is asked to call the ‘Drivewatch Hotline’ on 0800 174615.